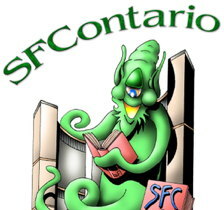 In a little over two weeks, I’ll be heading across the border to Toronto, Cananda where I will have the privilege of reading at the Merril Collection, as well as being the GoH at SFContario. The library reading occurs at 7pm, on Thursday, November 16th, on the 3rd floor of the Lillian H. Smith branch of the Toronto Public Library, 239 College Street. Although I’ve previously attended SFContario, I’ve never been to their opening ceremonies. I’m hoping it involves me wielding a pair of giant scissors (I promise not to run with them). Many SF/F worlds have their own languages, Elvish and Klingon being two examples. From etymology to grammar to culture, there are many characteristics to consider. 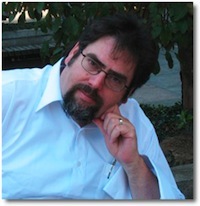 How do you craft languages that make sense? How does a language reflect the identities of its speakers? How do we make our languages and vocabularies believable? Mnemonics and You! Come listen as I explain what makes memory work and how you can enhance yours. 12:00 p.m. | Solarium | Where do we go from here? 1:00 p.m. | Gardenview | Star Trek: The Next Iteration: How about them Klingons? Does Star Trek Discovery feel like a lead-in to classic Star Trek? Are new gadgets and technologies too new? Is a little retcon good for us? Are they trying too hard? Will fans be loyal to the new series? Is anybody not a fan? Let’s discuss where the series is boldly going, and where we think the first season might end up. My new novella, Barry’s Deal, just came out. It’s light and amusing and has fart jokes (though Amazon won’t let us say “fart” in the description). Meanwhile, my next novel, The Moons of Barsk, has been turned in and comes out next August. The convention’s given me 30 minutes to read, so come by and pick which you’d like to hear. This will be my second convention in Canada this year, a new personal best. I hope you’ll come out and help me celebrate. This entry was posted on Saturday, November 4th, 2017 at 7:00 am	and is filed under News. You can follow any comments to this entry through the RSS 2.0 feed. You can leave a response, or trackback from your own site.